NOTE: The author’s opinions do not necessarily reflect those of the website owner. Ever since the dawn of gambling, players have looked for ways to work around the house edge and beat the games they are playing. A classic roulette wheel leaves the house with a 2.7% edge and while there are variations such as French Roulette that reduce the edge even further, the reality is that for the most part casinos will always win in the long run. This default state can be changed however, if proper strategies are applied. 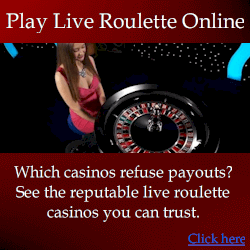 The Martingale and Reverse Martingale systems for roulette betting actually give the player a very reasonable chance of winning while playing online roulette games, especially in the short run. We take a very close look at the two betting systems to try and find out whether they can actually be used to defeat the online roulette games. Martingale System originated in the 18th century France, where betting and gambling were very popular and the game of roulette was one of the most commonly played. The classic Martingale system includes doubling your bets when you lose in order to eventually win the initial bet. For example, let us assume we have bet $1 on the first spin, and we bet on Black. If the ball does not land in a Black pocket, we would double the bet on the next spin, betting $2. If the ball lands in Black, we win $4, which is $1 profit after the two bets. If the ball again does not land in the Black pocket, we bet $4. If we win, we have won $8, and our total bets are $7, meaning we have again won $1. This string is continued until we finally win, after which we go back to betting $1. The reality is that for the most part, a streak of more than three or four numbers of a single color will not happen very often and we can gradually increase our bankroll with the Martingale System. The problem with the system arises when the streak does come and we are forced to bet more than 6 times on the same number. Starting with just a $1 bet on the first spin forces us to bet $512 on the tenth spin and an amazing $16.384 on the fifteenth spin. While a streak of 15 losing numbers is highly unlikely, it can happen and at that time we lose a huge amount of money compared to just a $1 win we get every time we do win. On top of this, many casinos also reserve the right to limit your maximum bet, often making the tenth bet already impossible, let alone the fifteenth. Similar to Martingale System in many ways and originating from the same period, Reverse Martingale has a player increasing their bets when they are winning and reducing them after losing. In this way, the player makes full use of any winning streak that they get, while minimizing his losses when on a bad streak. In mathematical theory, there is no way to predict any type of a streak, but Reverse Martingale, much like the original Martingale, actually tries to win in the short run and is not actually based on mathematical analysis. Can I Win With These Systems? The answer is definitely yes. A player can actually win for quite a long time using Martingale and Reverse Martingale and there is absolutely no reason you should not give them a shot if you intend to gamble anyway. The real thing to keep in mind is that these systems are not flawless either and you need to be careful not to overextend your bankroll chasing these systems. Remember, Martingale and Reverse Martingale are systems that can win in the short run, but they do not change the casino edge at the slightest in the long run. These systems just give you a chance of winning quite a bit on any given day. Brick and mortar casinos often frown upon Martingale players as they may see you betting Martingale as a waste of their time and may be afraid that you will win and never come back again. However, online casinos will let you bet Martingale, Reverse Martingale or any other betting system as long as you are not abusing their bonuses. 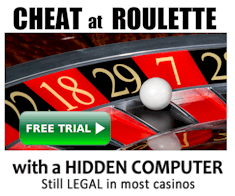 You can check out https://www.casinocowboy.com/ to find all the best roulette casinos online and start playing any type of a system you want at any one of the best online casinos in the world.